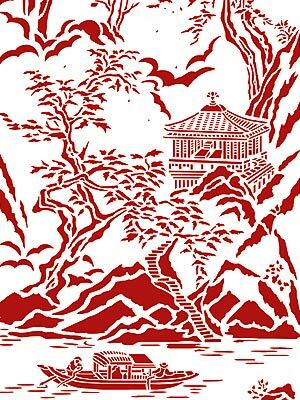 The Chinese Ravine Stencil is a beautiful chinoiserie style pictorial toile stencil. This exquisitely detailed little scene shows a secluded mountain retreat, blossom and pine trees in a mountain ravine, above a lake with a passing fishing boat. 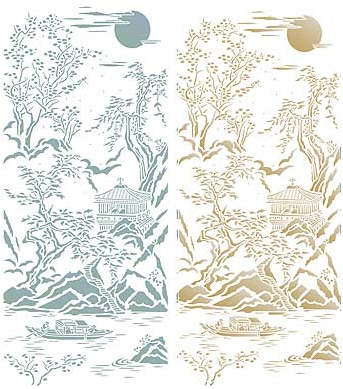 An ideal scenic stencil for cabinets, screens, wardrobe doors and decorative panels, or for stenciling fabric seat covers and cushions, or just for printing an elegant piece for framing. See size and layout specifications below. 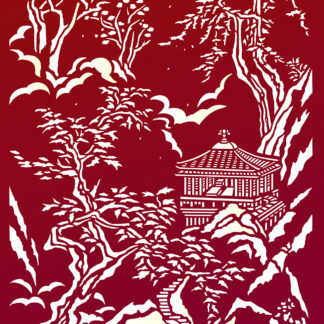 Above left – Chinese Ravine Stencil in Eucalyptus Stencil Paint. 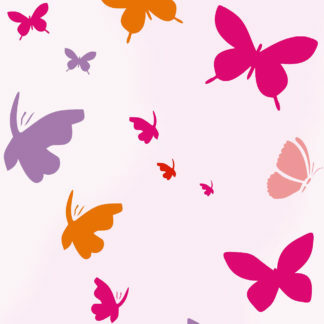 Above right – in Latte Stencil Paint. 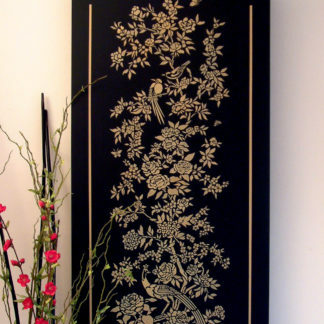 Above – the Chinese Ravine Stencil in Ice White and Butterscotch Stencil Paint on a black Chinese style background. 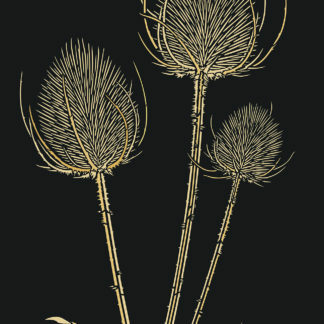 Add Antique Gold Metallic Stencil Paint for extra lustre and gilded style. 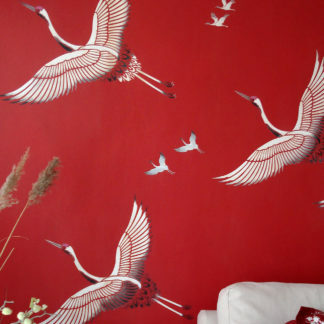 See also the Small Chinoiserie and Large Chinoiserie Stencils and the Oversize Chinese Ravine Stencil. 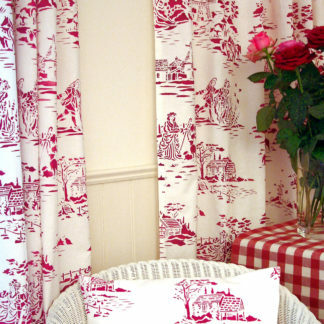 The design of this stencil is intricate, but is not difficult to stencil – stencil with our Stencil Rollers for ease of application. 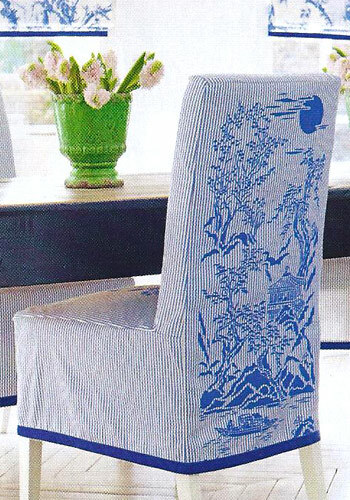 Above – the Chinese Ravine Stencil in Cobalt Blue Fabric Paint on a striped cotton chair cover, as featured in Homes & Gardens Magazine. 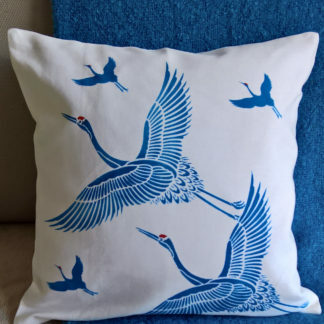 Image: © Homes & Gardens. 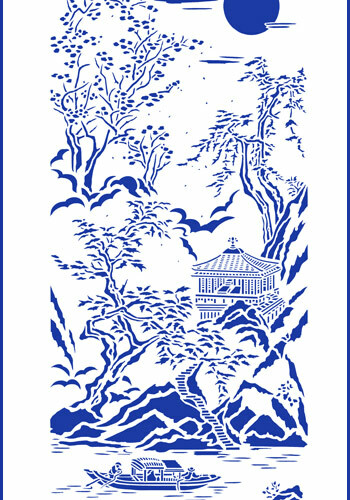 Above – the Chinese Ravine Stencil in crisp China Blue Stencil Paint on white. 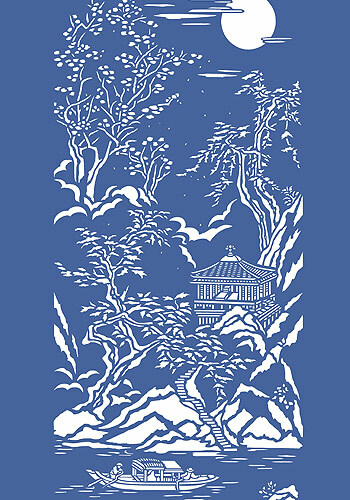 Above – reverse the effect with the Chinese Ravine Stencil in crisp Ice White Stencil Paint blue. 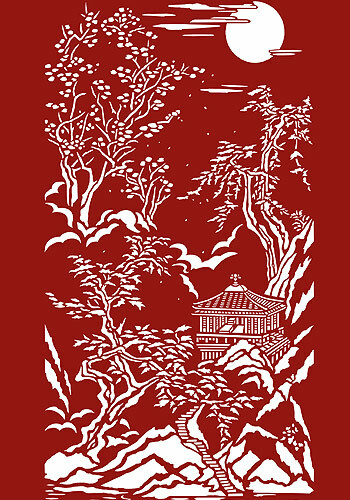 Above – close up detail of the Chinese Ravine Stencil in Very Berry Stencil Paint. 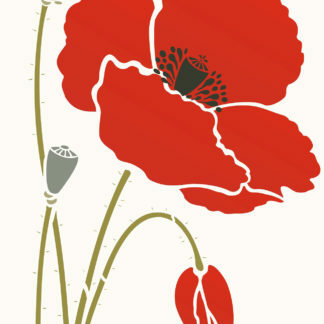 One layer stencil in one section measuring approximately 79cm/31″ high by 36cm/14″ wide. 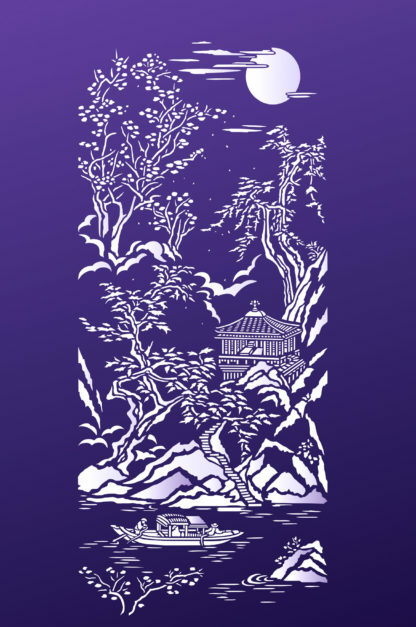 Left – the layout of the stencil sheet of the Chinese Ravine Stencil.